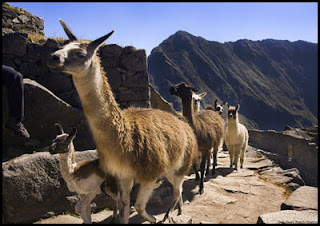 Always Drunk: Won't Someone Think About the Llamas? Won't Someone Think About the Llamas? My daddy is a smart man. 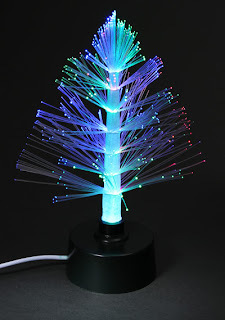 You know those fiber-optic Christmas trees they sell everywhere? Like at ThinkGeek, for instance. My daddy had the idea for those things years before they actually showed up on the market to make our holidays garish and vaguely psychedelic. Of course, he didn't actually patent or develop the idea, and so someone else is eating solid-gold oysters tonight instead of my daddy. He's smart, but maybe not so much visionary. Anyway, another development he predicted decades ago was that Plano, Texas was going to turn into just another decaying suburb within 20 years. Which seemed pretty inconceivable at the time. Back in the 1980s, when I lived there with my family, Plano was among the brightest, shiniest, most embarrassingly prosperous places in the country. Even if you've never been to Plano, you can get a pretty good approximation of it by watching any John Hughes Brat Pack movie. Plano was just like the idealized suburban Chicago of Sixteen Candles or The Breakfast Club, only with ugly brick ranch houses instead of charming Colonials. 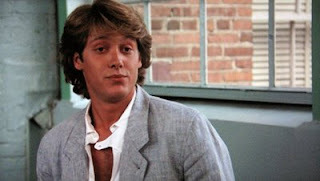 Seriously, you couldn't walk through the halls of my high school without bumping into some douchebag who looked like James Spader. Who usually was busy ignoring someone who looked like Jon Cryer. ﻿In the interest of full disclosure, I freely admit that I lacked the looks, the popularity, the fashion sense, and the money to fit in with the beautiful people of Plano in the 1980s. Or, what the hell, now. But back in the day, even if you were just crouched on the sidelines watching the parade of affluence and cultural significance pass you by, it was impossible not to sort of enjoy it vicariously and believe it would go on forever. Like a Mardi Gras celebration or a particularly vapid reality show. But Plano has in fact become an aging suburb with aging-suburb problems. Even though it still has a considerable population of the wealthy and beautiful, along with all the amenities wealthy and beautiful people crave, the number of minorities and economically disadvantaged residents has grown considerably. 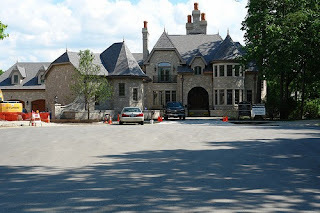 Many of the neighborhoods that were considered top-tier when I was a kid are now decades old and have been abandoned by their original occupants in favor of newer, flashier, more exclusive subdivisions. Meanwhile, the neighborhoods that weren't top-tier are even older and less desirable. Plano has experienced a huge amount of physical sprawl, and there is an ongoing struggle to balance resources between upgrading the older parts of the infrastructure and maintaining the standards demanded by those in the newer, wealthier areas. Typical big-city problems, but pretty jarring in a suburb that was named the richest city in America in 2008. I'm not going to knock Plano or my experience living there. I'll let Plano native Lance Armstrong's biography do that. Personally I've chosen not to live there, but I know many fine people who do. There's a lot to like about Plano, and a lot to dislike, depending on your perspective. thinks it's a great place to smoke weed, for example. But there's one thing in Plano that everyone loves - rich or poor, native or transplant, pre- or post-implant surgery - and that is Haggard Farm. 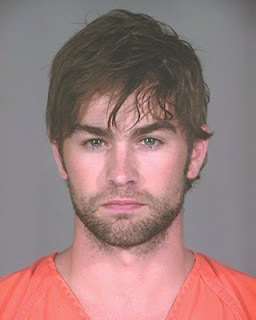 The Haggard name looms large in Plano history. The family settled there before the Civil War and owned vast tracts of land that now comprise large parts of modern Plano. You'll find the name on schools, parks, streets; the word "haggard" even describes how actor and Tony Romo brother-in-law Chace Crawford looked in his mug shot after he was busted for smoking weed there (see above). And smack-dab in the middle of crowded, sprawling, hyper-developed Plano, at the intersection of two busy streets, are 120 acres of peaceful farmland populated by hay fields, cows, and llamas. Haggard Farm is the single biggest undeveloped piece of land left in Plano. I would dare say that every single person in town knows it well. A large proportion of them probably moo at the cows when they drive by. Or maybe that's just me. The thing is, Haggard Farm is universally beloved. Whether you appreciate its history, enjoy having a little oasis of grass and livestock in the center of suburbia, or marvel at what must be its astronomical monetary value in a city where a one-acre lot can list for $825,000, it's a very cool place. And it's about to be turned into a subdivision. The Haggard family has decided to finally give up its wonderful, historical, charmingly anachronistic suburban farm to developers. Plans are already on the table to turn the land into 400+ homesites, plus areas of retail. Thank goodness. 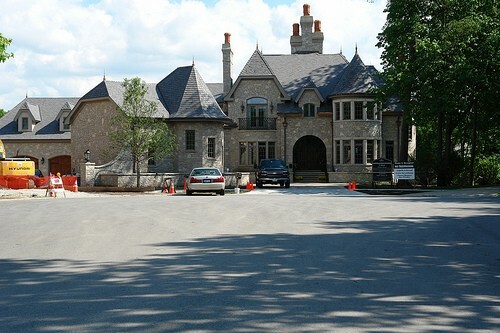 If there's anything Plano needs more of, it's places to shop and poorly built zero-lot-line McMansions. approved by the homeowners association. ﻿﻿ I'm sorry the Haggards have made this decision. But it's their land, and their decision to make. They held out for decades, when the temptation to cash in on the Plano land boom must have been akin to Eve and the apple. There's speculation that the property taxes have become too much to justify the minimal level of farming that actually goes on there. Or that the family finally got an offer they couldn't refuse. Or just that they got tired of cleaning up llama turds. My guess is they're pooping machines. 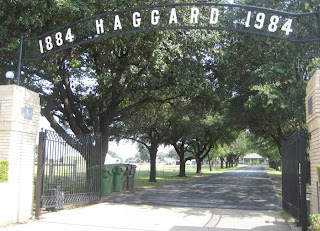 I'm sad that soon there will be no more Haggard Farm. A lot of people in Plano are sad. Losing a piece of your personal history is hard, especially one so unabashedly pleasant. I'll miss seeing the llamas when I drive through Plano. It's a hoot to see llamas in the middle of a featureless suburb. I wonder what will become of them. Someone needs to make sure they get a good home. If the nearby Chili's starts serving llama fajitas, I'm going to be pissed. I am new in the area. I saw Llamas while driving on Custer Rd and was searching the net on what is this about, and whether I can take my kid to see farm-animals - or even may be to spend a whole afternoon in that farm.... I was so sad to realise that this will be gone! I wish that they had opened a Dude ranch, or park, or anything else to keep this neat place out there!